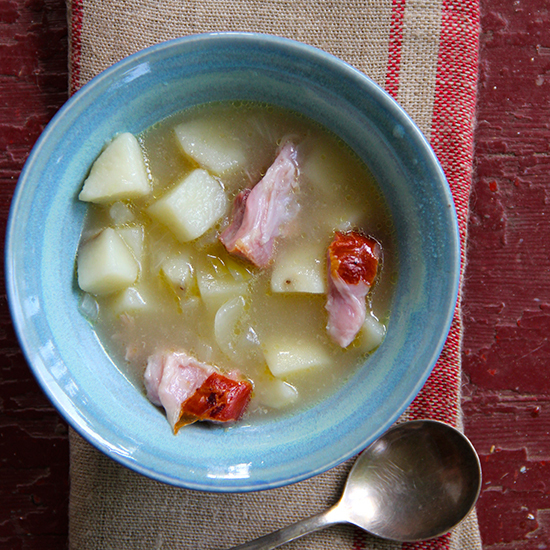 Potatoes are the perfect base for soup; they can be made creamy or chopped into a savory broth. 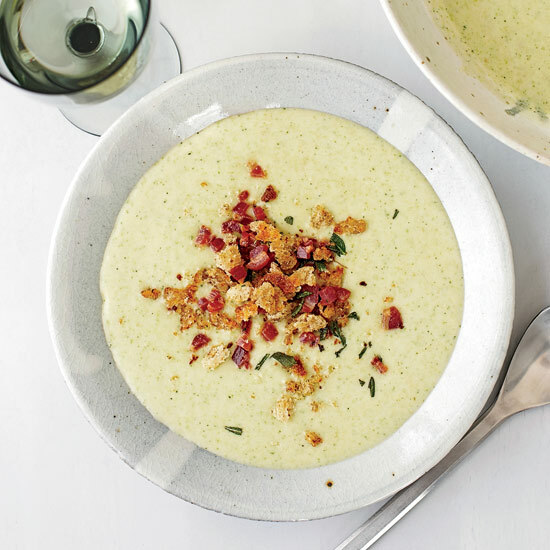 Here, Food & Wine rounds up the best potato soup recipes, from the classic creamy potato soup to potato soup with spicy shrimp. During its first year, Essex Farm harvested 10,000 pounds of potatoes in just one day; Kristin Kimball turned some of them into potato-leek soup. If you have a blender and good chicken broth, she swears it's one of the easiest soups to make. This version has a fabulous topping of supercrispy sourdough and pancetta crumbs mixed with sage and rosemary. Guanciale (pork jowl) adds salty richness. 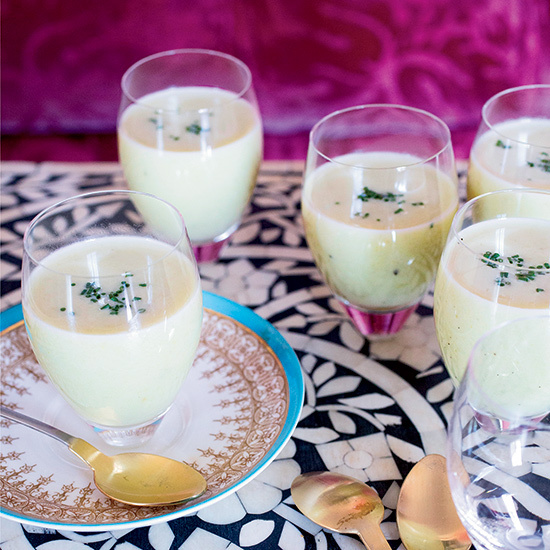 Often served chunky, a quick pulse in the blender turns this soup into a creamier soup. Ask your butcher to split the ham hock in half. 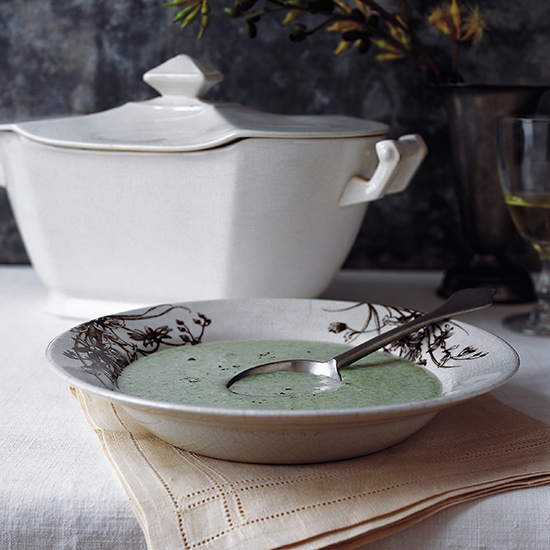 At Manka's Inverness Lodge, in Inverness, California, chef Daniel DeLong uses local wild stringing nettles to give a tangy flavor to this light, creamy soup. Because nettles are prickly, use gloves while working with them. If nettles are unavailable, substitute fresh spinach or a combination of parsley and sorrel. 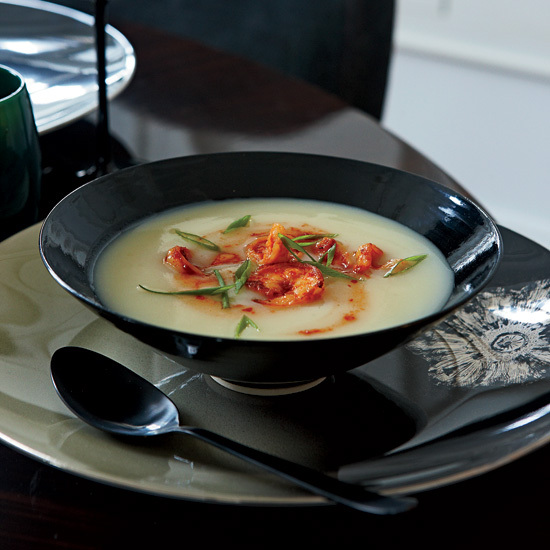 For a lighter version of this soup, use milk in place of the half & half. If you don’t have fresh oregano, use 1 teaspoon of dried, crumbled oregano. The peppery-ness of arugula stands in for black pepper in this recipe. 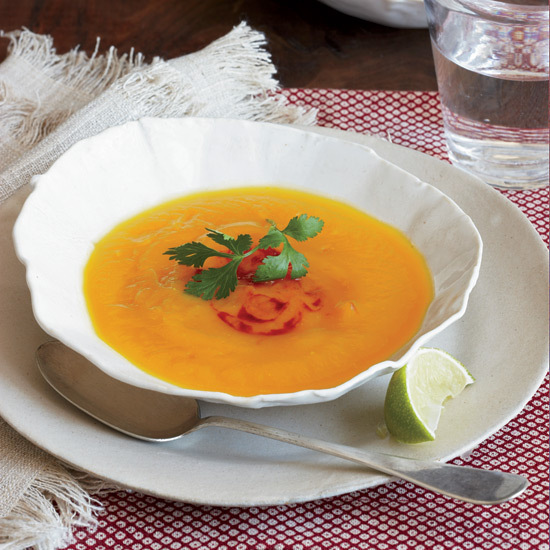 Feel free to substitute yellow cheddar for a fun color change in this soup.